First up, Patch 2.1, which is set to arrive this week, will tackle issues with the Crafting Bench, along with a fix for characters getting stuck in the revive animation. 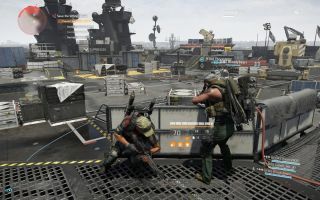 A fix is also planned for the True Patriot gear set bonus and the Revive Hive is also getting a couple of tweaks, with more expected in the future. A whole host of other concerns are also being looked into, including various gear and weapon issues, talents, and balancing concerns. You can check out the full details in the original post here.